The TTC and the City of Toronto have a joint road and watermain reconstruction project underway on Dundas between Yonge and Church. 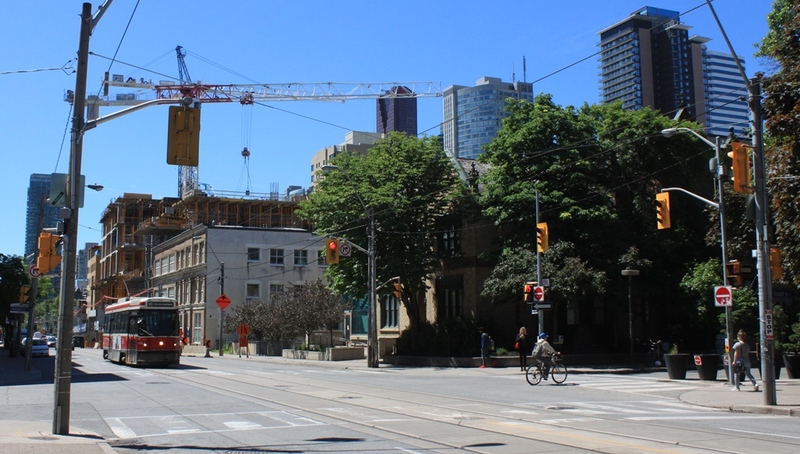 For a few months, 505 Dundas cars have diverted around the workarea via Bay and College/Carlton, and they are currently returning south via Church. The service is so well established that it has streetcar stops on Church where there has not been regular transit service for decades. The intersection at Dundas, Dundas Square and Victoria is unusual in that it is triangular, the result of a jog elimination at Yonge Street in 1923. This post documents the track reconstruction as it progresses.